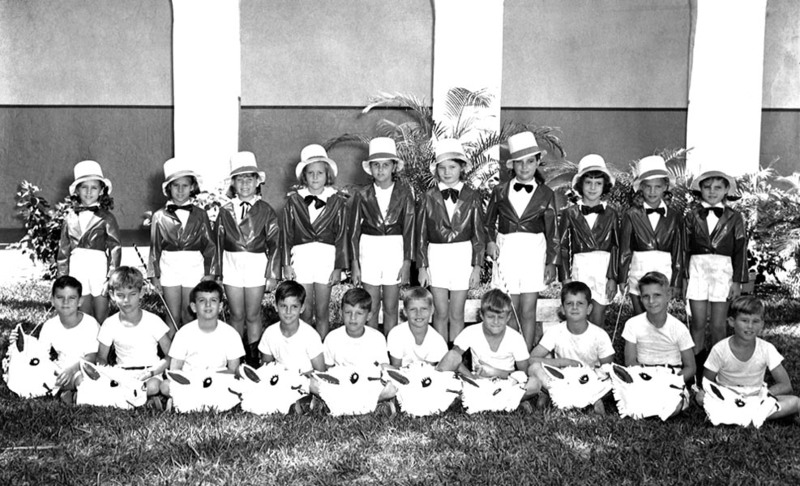 Thank you to Steve McDonald, Coral Gables Senior High 1958, second from the left front row, for contributing this great image. Boys seated: unknown, Steve McDonald, Richie Maxwell, Lucky Kyle, Lee Gregory, Sandy Tscharian, Marshall Walters, Joe Akerman, Rufus Ashworth, and Stockton Meade. Girls standing: Barbara Walker, Ginger Rambo, unknown, Patty Shanklin, Jackie Dunagan, LaDonna Perry, LindaSue Williams, Carol Kimbrell, and Barbara Nichols, unknown.